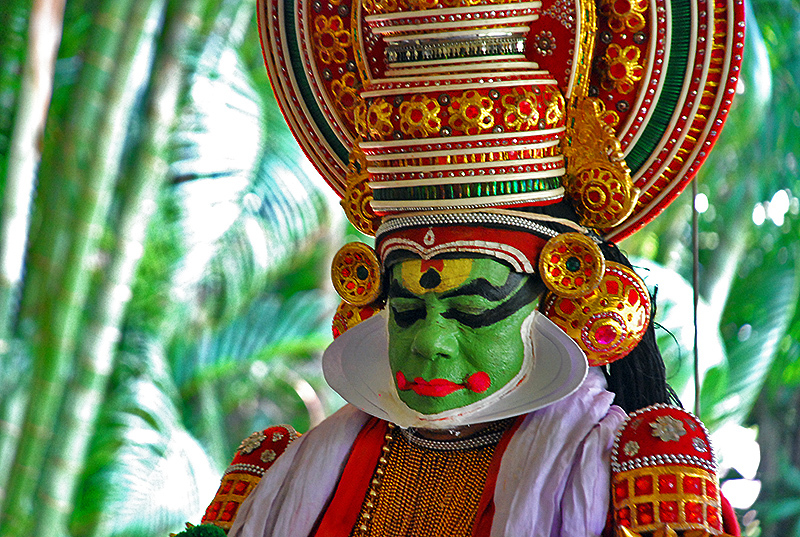 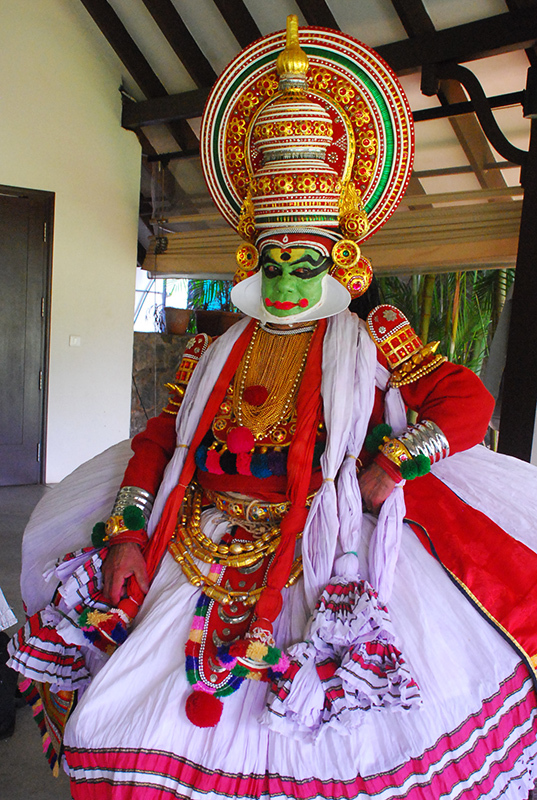 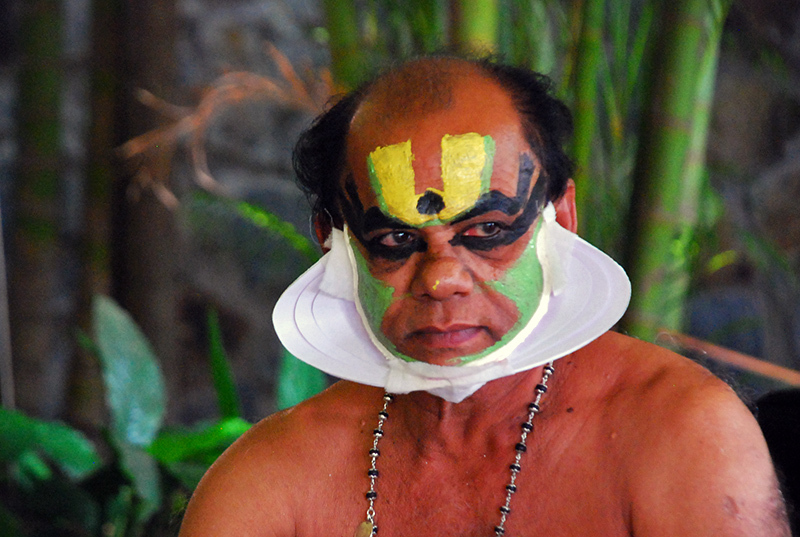 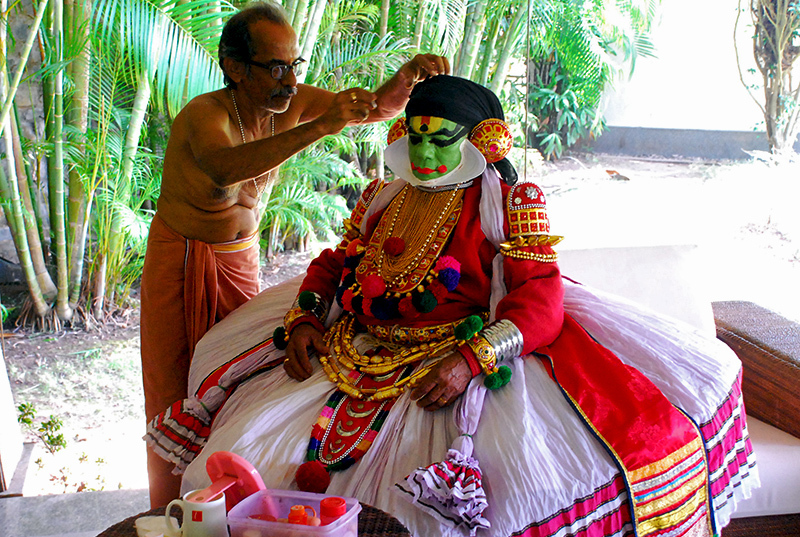 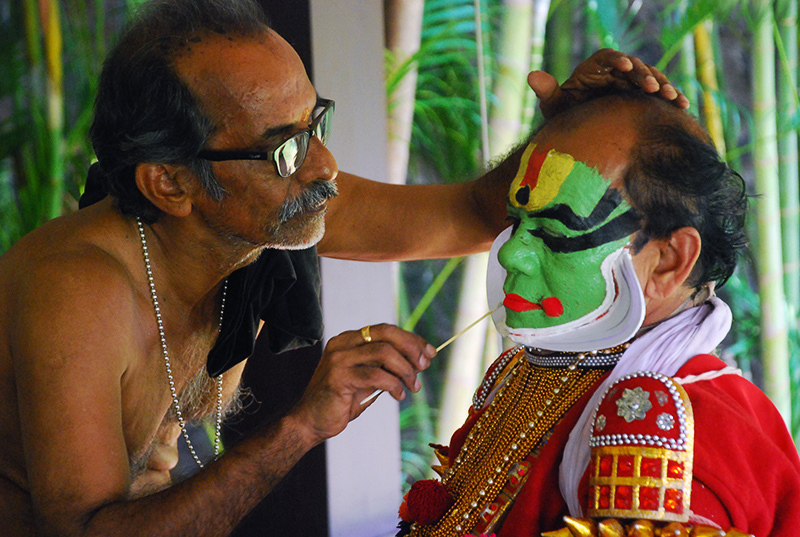 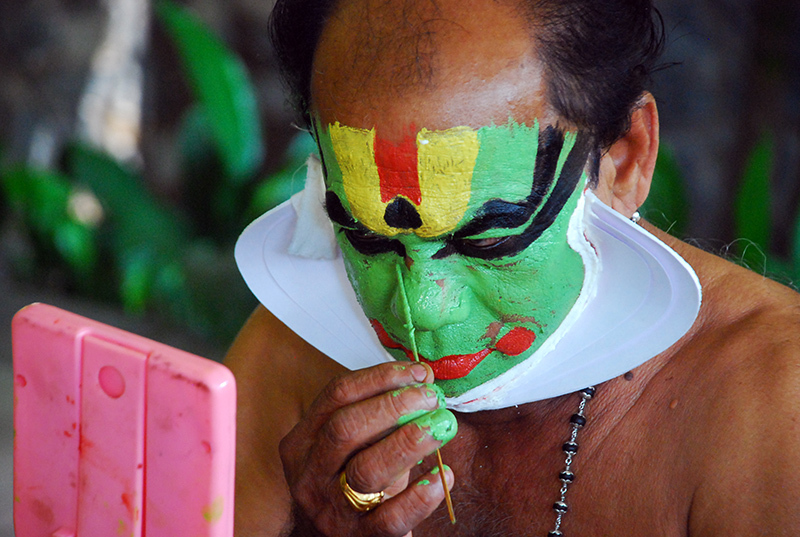 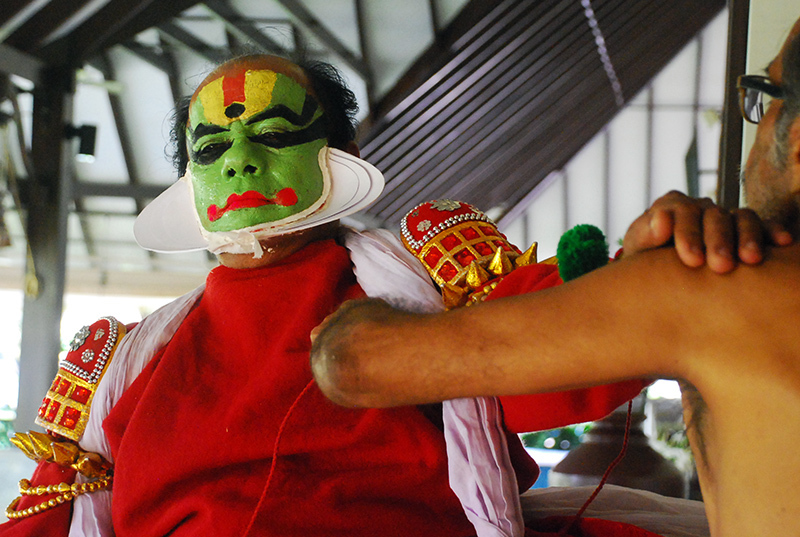 I met them – Kathakali artist Sukumaran and his companion – in (what I thought) was the unlikeliest of places – in one of the corridors of a luxury five star resort in Kasargod, Kerala. 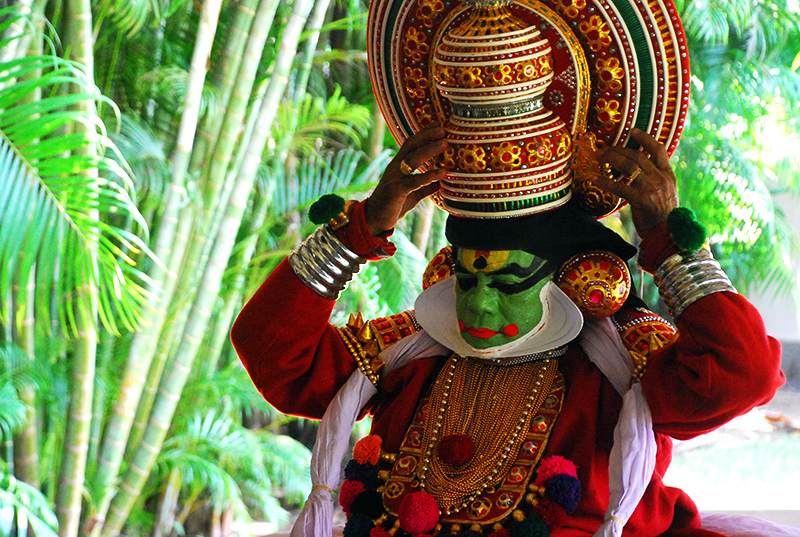 They were getting ready for a brief performance in front of some visiting foreigners. 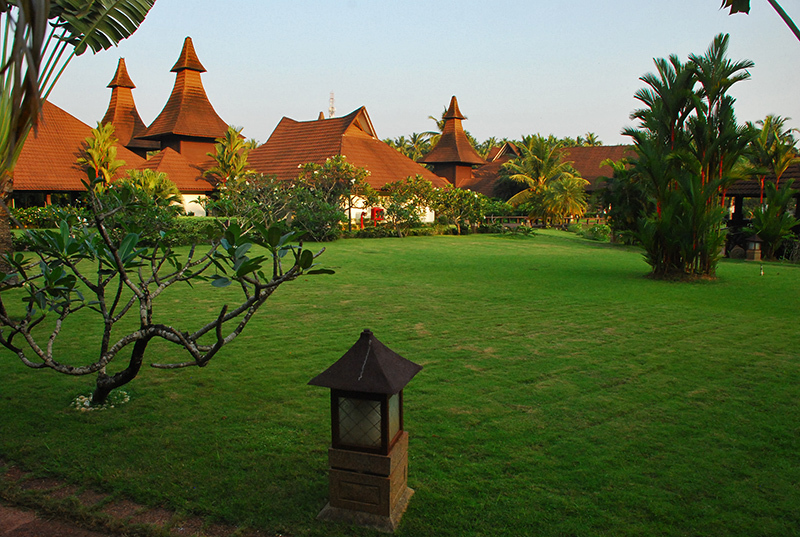 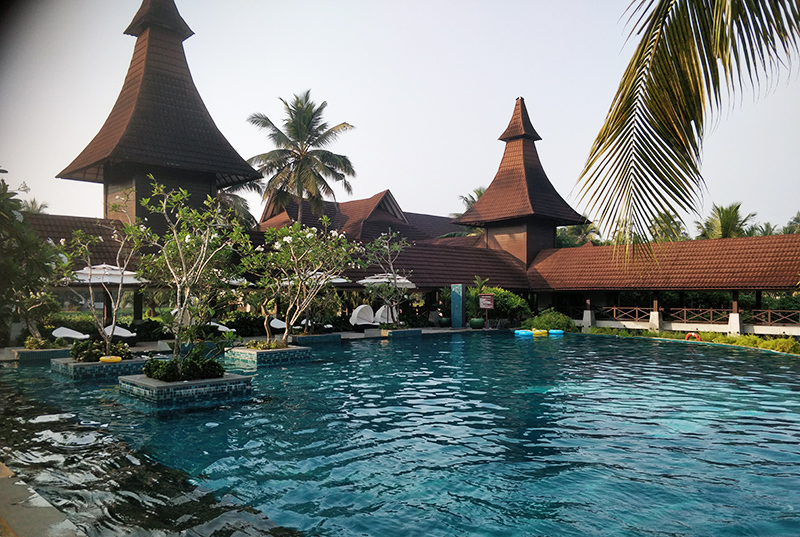 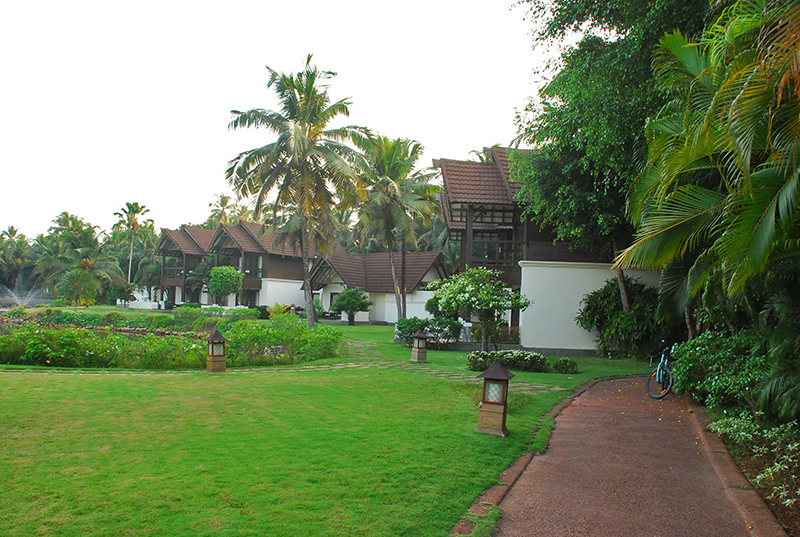 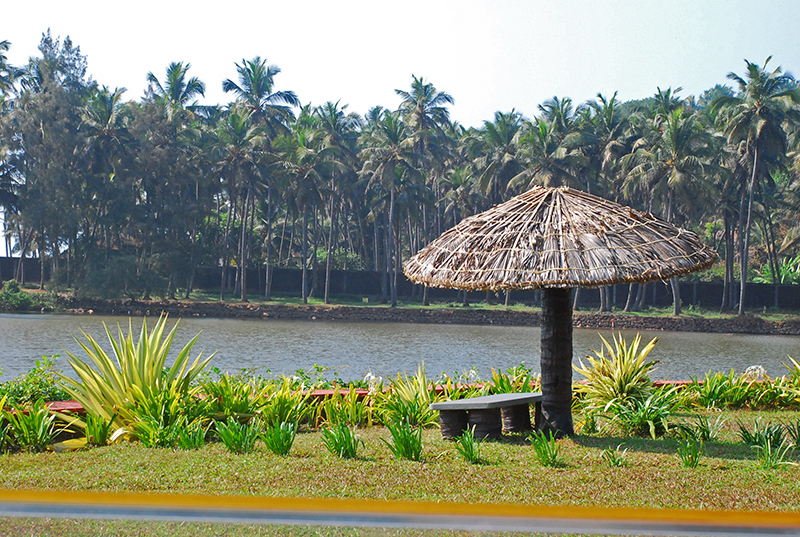 I was in The Lalit Resort & Spa Bekal to spend a couple of days immersed in luxury and some peace and quiet (and celebrate our (wifey’s and my) birthdays while we were at it). 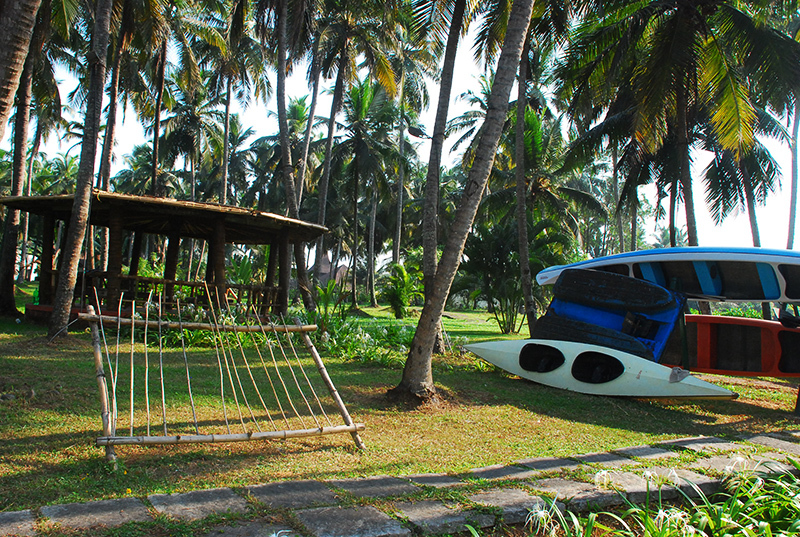 Located on the banks of river Nombili, the resort has around 38 suites that come with a private jacuzzi in every suite. 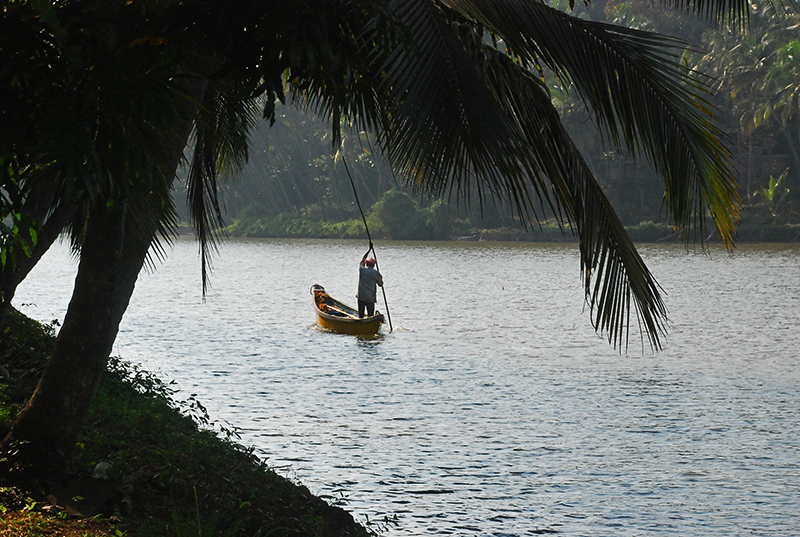 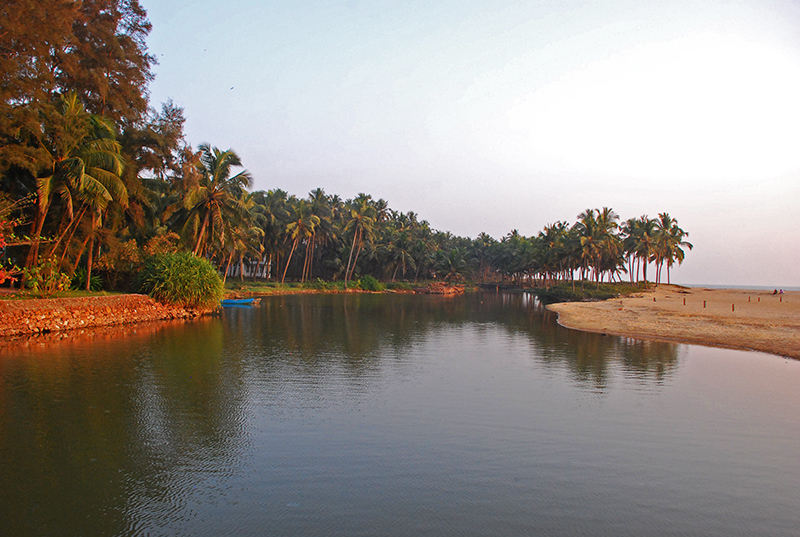 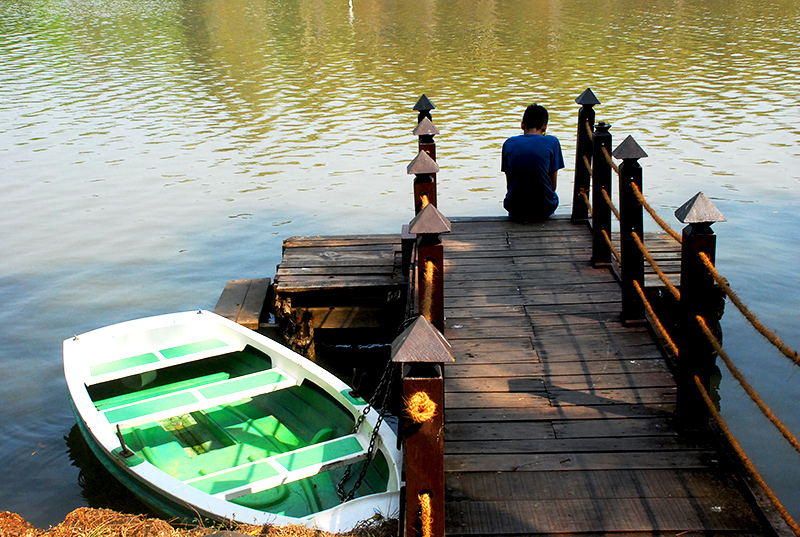 It also offers many activities including fishing, kayaking and cycling. 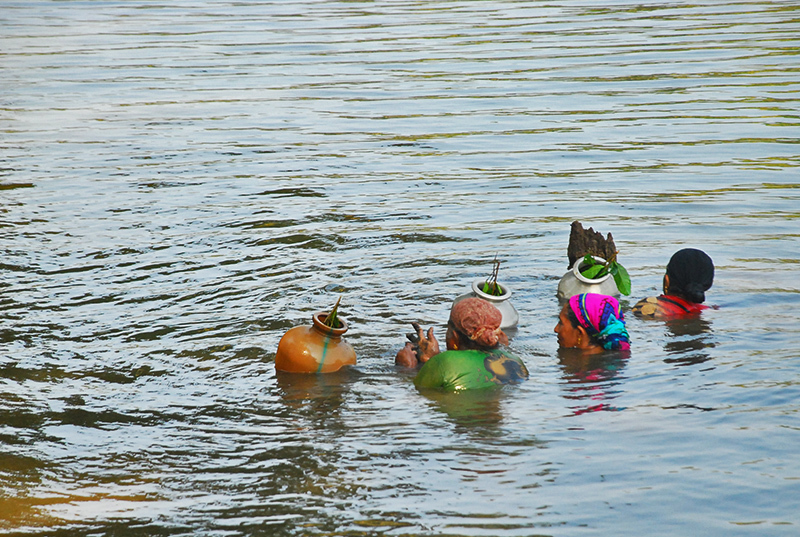 Local fisherwomen picking prawns from the river. 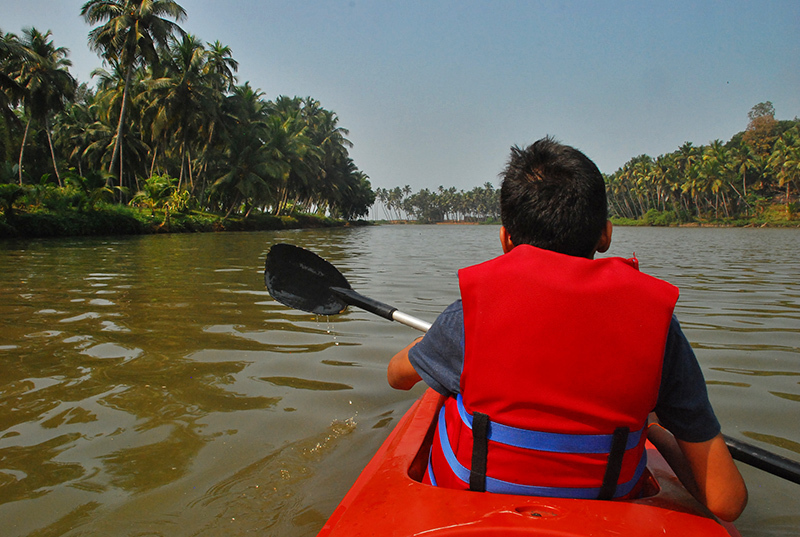 The river is only 5ft deep around here, making kayaking really safe even for people who don’t know swimming. 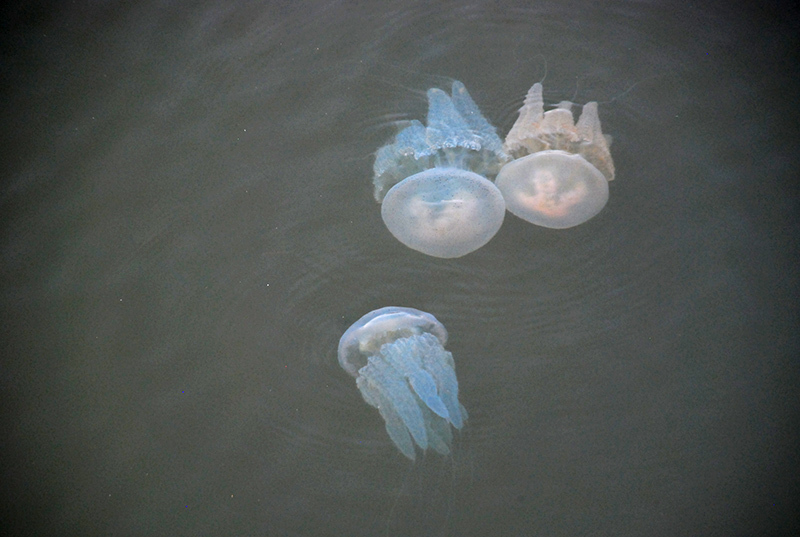 The river had a lot of these – jelly fish! 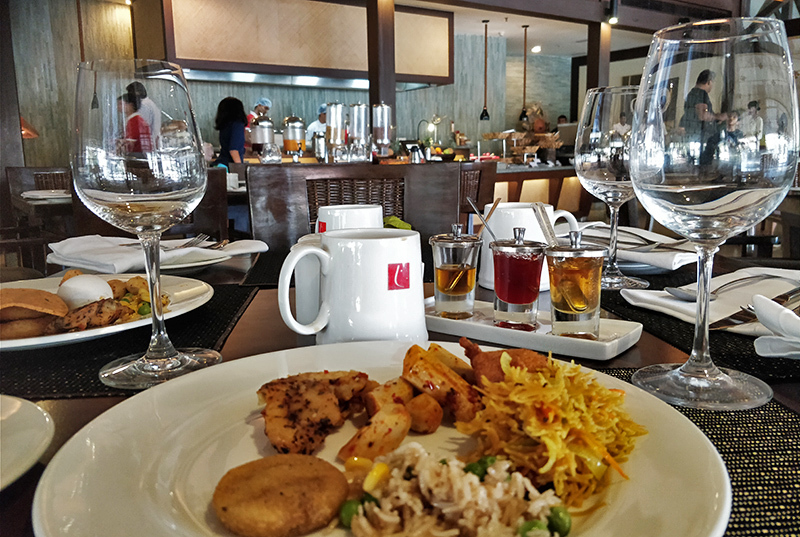 The morning breakfast buffet had some really scrumptious food. 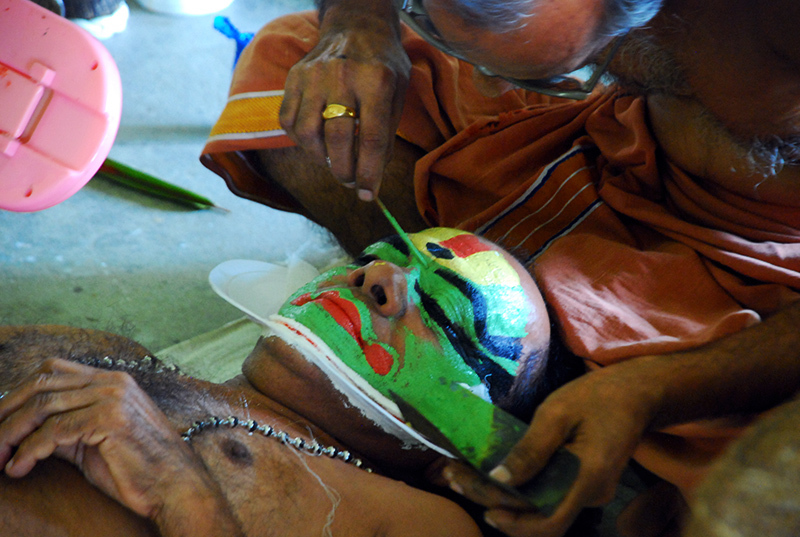 Leaving you with some photos I took of the makeup session.